Thank you for considering attending Don Bluth University's Fall 2019 school year. Each student will be required to show some previous artwork to get accepted in to the full year program. Please email 5-10 hand drawn images to us via email. info@bluthuniversity.com after filling out this registration form. Anything You Would Like To Add? Questions? God bless the dreamers; they make things happen. Bluth's passion for the Art of Animation is the driving force that fueled his film career for a period of more than four decades. According to Bluth, he was not driven to animation but extremely attracted to it mainly because of the sheer beauty of its look. Bluth's passion for the Art of Animation is the driving force that fueled his film career for a period of more than four decades. According to Bluth, he was not driven to animation but extremely attracted to it mainly because of the sheer beauty of its look. Don grew up on the early Disney films, Snow White, Bambi and Pinocchio. He was only four years old when these pictures inspired him. He knew immediately that someday, it would be part of his world. Bluth is considered by some critics to be unique in that he successfully challenged the powers of the ‘Mouse House,’ as a serious competitor, bringing to the silver screen such memorable milestones as The Secret of NIMH, An American Tail, The Land Before Time, and Anastasia.’ All in all, Don and his partner, Gary Goldman, produced twelve animated features and three video games including, Dragon’s Lair and Space Ace. If you were to pass Don while walking down the street, you might not even notice him. Certainly you’d never peg this slight-of-build-mild-mannered man as driven b a relentless pursuit of excellence in the arts. You’d get no hint of it from his dress, or his casual ‘hello.’ The Levi's, Jockey T-shirts and runner boots are pretty standard for an ordinary Joe Blow, but invite him to talk on the subject of animation from the golden years, or talk about the pioneer of that movement, Walt Disney himself, and another creature, somewhat startling, will reveal itself. It’s like flicking a switch that illuminates a room. Here’s how he would describe it. Don Bluth is one of the most acclaimed directors and animators in the industry. His peers from all over the world admire him for his creative talents as well as his versatility in bringing memorable characters to life. He designs the characters, serves as Key Storyboard Artist, and when the mood strikes him, he has also been known to compose some clever songs and collaborate on most of the scripts for his projects. Both he and his partner, Gary Goldman are responsible for the training of over 1000 artisans that currently populate the industry. Bluth was born into a family of seven children in El Paso, Texas. He grew up on a dairy farm in Payson, Utah in a highly creative environment. When he was not milking cows, he was drawing cartoons. Animation captured his fancy and soon he was dreaming about working for Walt Disney. In 1955 he graduated from high school, and immediately took a portfolio of his drawings to the Disney studios in Burbank where he landed a position in the animation department as an in-betweener. Bluth worked at Disney from 1955 through 1956 on the classic motion picture Sleeping Beauty. He left after one year to follow other life pursuits, re-entered the animation field in 1967 at Filmation Studios and finally returned to Disney in 1971. During his ten years working at the Walt Disney studios, Bluth had four fantastic mentors, John Lounsbery, Frank Thomas, Milt Kahl, and Wolfgang (Wooly) Reitherman. According to Bluth, the one he learned from the most was John Lounsbury. He was generous, knowledgeable, and I was dating his daughter. In 1979, Bluth, along with Gary Goldman and John Pomeroy, founded Don Bluth Productions. "Best Choice I Ever Made!" "Learning from Don Bluth has been a great experience. I wouldn't give it up for anything in the world. 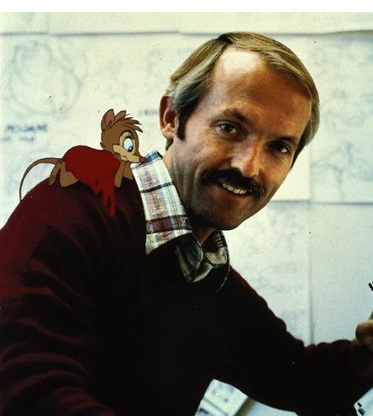 "I learned more in one week in Don Bluth's Masterclass than I did in one year of animation school.